The government of Venezuela must end its “terror campaign against its own citizens”, US Secretary of State John Kerry has said. John Kerry said the Organization of American States (OAS), allies and neighbors should demand accountability of Venezuela over the protests. Authorities say 28 people have died since they began more than a month ago. Venezuela accuses the US of helping “right-wing fascists” to plot a coup with the unrest. 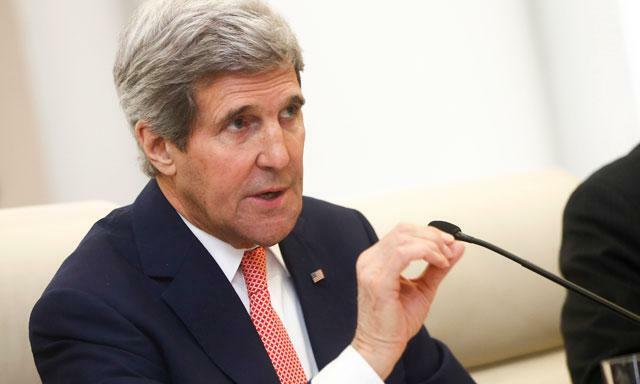 John Kerry’s remarks are the starkest from Washington since the protests began. “We are trying to find a way to get the [President Nicolas] Maduro government to engage with their citizens, to treat them respectfully, to end this terror campaign against his own people and to begin to, hopefully, respect human rights in an appropriate way,” John Kerry told a committee in the US Congress. American legislators have been debating whether or not to impose sanctions on Venezuela. Venezuela President Nicolas Maduro said his week that his government had “neutralized” a “right-wing coup”. Nicolas Maduro blamed groups in the US, Venezuela and other Latin American countries for the alleged plan. The Venezuelan government has already expelled the Panamanian ambassador and three other diplomats. Last month, three US diplomats were also declared “persona non-grata”, following accusations of conspiring with protesting students. Venezuela’s Attorney General Luisa Ortega Diaz said on Thursday that 28 people had died in the protests. Also on Thursday, renewed clashes between protesters and security forces took place in Caracas, where government supporters also marched. The protests started in the western states of Merida and Tachira at the beginning of February by disgruntled students, who demanded more security in the region. Dozens of demonstrators were arrested. Less than two weeks later, three people were shot dead in Caracas on the fringes of a protest demanding students and other activists be freed.